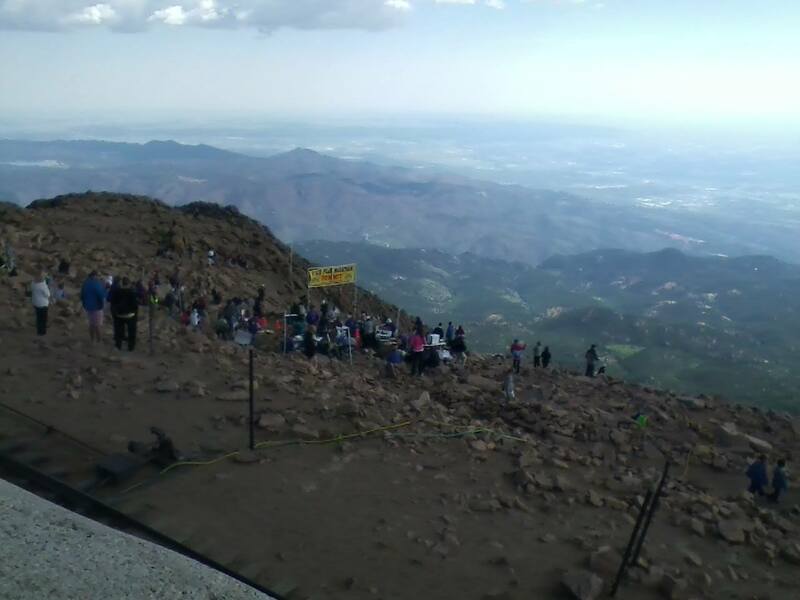 Pikes Peak is filled with breathtaking views, if you don't mind the drive to the top. Along the way there are great places to stop and admire the scenery for as far as the eye can see. Do you like fishing? The lakes are stocked and the fish are jumping. Don't forget to bring your pole in the event you decide to fish on a whim. Just in case you forget the snacks there is a a quaint rest stop as you ascend. You can find coupons off the cost of admission if you search online. Tickets can be purchased online or at the entrance. If you are into racing Pikes Peak hosts a race every year around the end of June. The Pike Peak International Hill Climb has been around since 1922. Camping is permitted for the event. If you're a die hard fan it's a great way to try and get the best seat. If you are interested in attending you can check out ppihc.com/tickets. Hiking by the water. Frank Loves it! Pikes Peak offers great hiking trails. The motivated hiker can take a serious hike up to the first lake. Plan on spending half a day at least. You will want to bring snacks and water. Of course you can do just a short hike. My favorite short hike is by The Incline. Take the Barr Trail and cut down by the water. 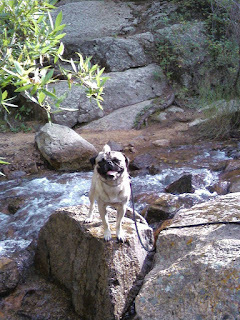 It is a difficult hike with small amounts of climbing. When it is time to run you can watch or register to join America's ultimate challenge. The Pikes Peak Ascent and Marathon happens every summer since 1956. The runners race there way to the top on day one and spend day two on there way back down. There is a great option to see a wealth of beauty while you sit on your bum and sip from your water bottle. The Cog Railway will take you to the top on a casual trip. You will get the bonus of a history lesson on the ride up. The views are every bit as awe-inspiring as the drive. During the summer seats can fill up fast so you may want to purchase your tickets in advance. The Cog Railway is located in Manitou Springs just outside of Colorado Springs. A trip to Pikes Peak is a vacation must, and for those that live here a perfect way to fill your time on a lazy Saturday.